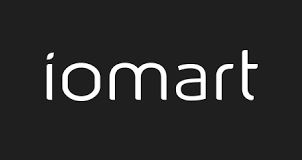 In a trading statement ahead of its full year results, Iomart said: “Over the last 12 months we have reinvigorated our sales and marketing function to ensure we are best placed to capture the full market opportunity. “The early benefits of this effort started to flow through in the second half of the financial year with an increase in new lead generation from both new and existing customers. “This has delivered a strong finish to the year with a significantly larger pipeline of prospects than this time last year and we enter the new financial year with confidence. “On 20 December 2018, we completed the acquisition of LDeX Group Limited for an initial consideration of £7.5 million, with a further maximum contingent consideration of £3.5 million. “LDeX provides datacentre and connectivity services in the UK from central London and Manchester locations. “As well as bringing a new and diverse customer base to iomart, the two locations are complementary to our existing infrastructure. “In December 2018, we purchased the freehold of our Maidenhead site for £5.4 million. Iomart CEO Angus MacSween said: “iomart has delivered yet another year of growth with strong profitability and cash flow underpinned by our recurring revenue business model, diverse customer base and attractive market position.